The mural design is finally sketched onto three (3) 5foot by 10foot aluminum panels. Yesterday was a looooong day, but well worth the time. 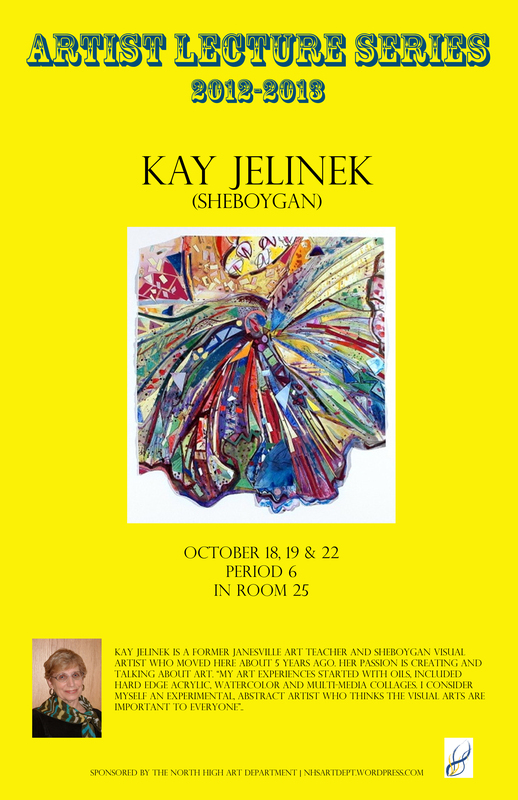 Now, we get to invite the community to participate in painting this mural designed by Dale Knaak of Sheboygan. The North High Art Department will be inviting the community once a month (a Saturday) to add his or her brushstroke to the mural commemorating 75 years of Excellence. In the meantime, join us on Saturday, September 29th from 9am to 11am to begin this journey. We will be listing those dates very soon. Snapshot: Here are some of the creative projects Art Foundations 1, Drawing Intensive, Portfolio and Drawing/Paintings I students are currently working on. 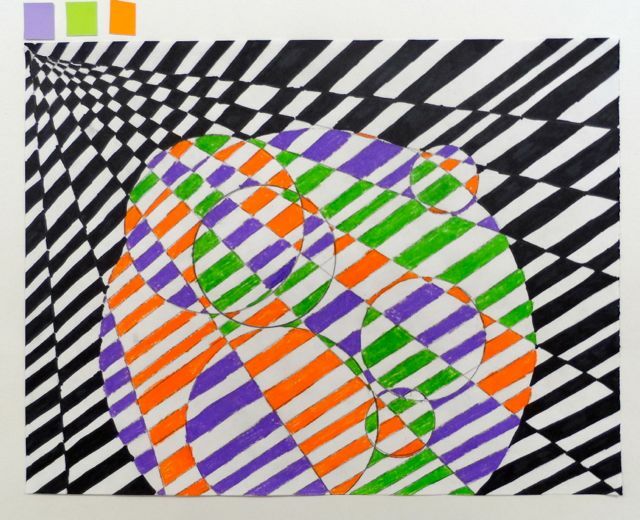 AP Portfolio I students are in the process of creating their very own Op Art painting on a stretched canvas. This project will involve students coming up with ideas on how to create their own Op Art painting via studies and color selection. Students will then learn how to stretch and gesso their own canvas. 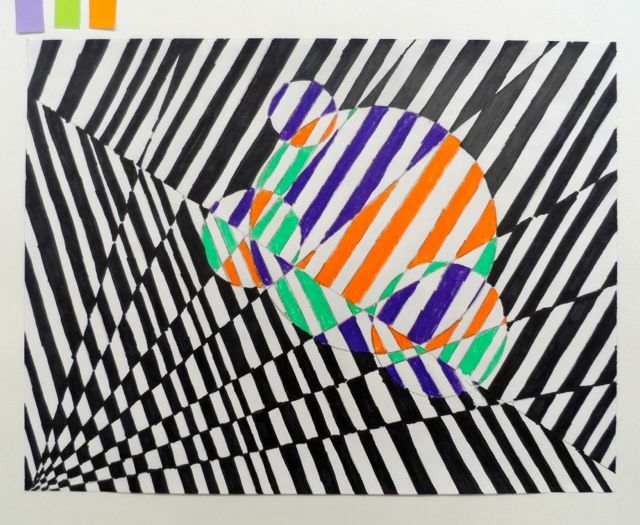 Students will be introduced to masking and hard edge as well as to artists such as Victor Vasarely and Bridget Riley. Paintings can range from 8×10″ to 16×20″ in acrylic.